In 2000, I published Step by Step: A Guide to Organizing a Postpartum Parent Support Network in Your Community, a workbook that encourages individuals to work as a team to support parents and their families. It provides a guideline or framework that can easily be adapted to achieve the kind of community described in my quiz. Establishing a support group and/or network is a very individual experience with no rigid and absolute recipe. There is a process to follow, however, and I’ll tell you what it takes to accomplish: time, patience, and commitment. My process includes specific steps within six stages. 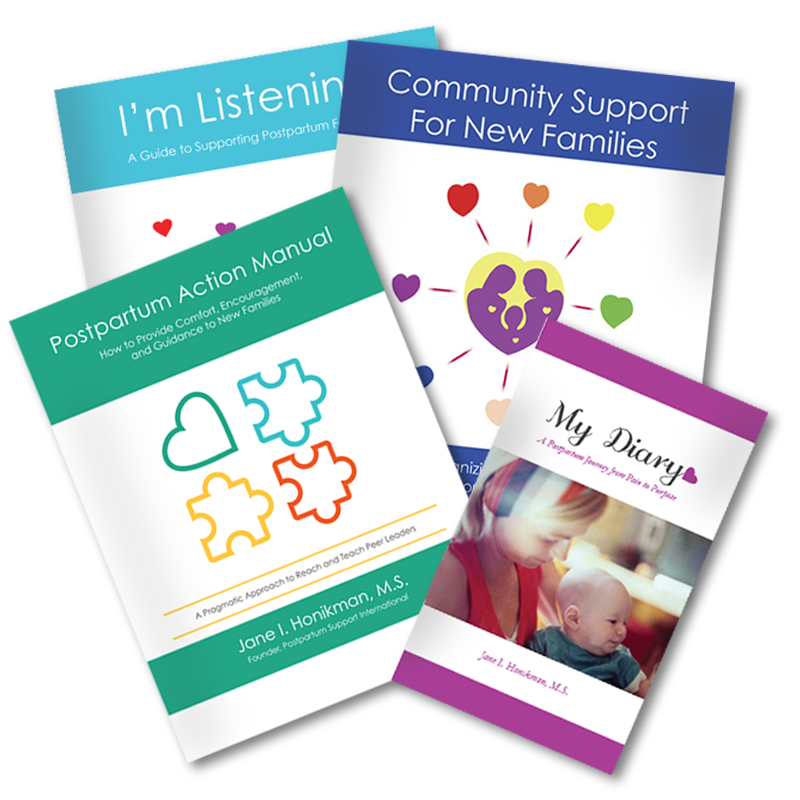 While the steps will vary from community to community, you must pass through each of the six stages to ensure the successful development of a postpartum support network for your community. I doubt if there’s a village in the entire world that’s as wonderful as I would like to imagine, but I have a fantasy that somewhere else they support postpartum families completely. As we strive toward improving our own villages, towns, and cities, there will be challenges in meeting the needs of every mother and her family. We need to work together now to evaluate and improve current policies and systems of practice for our families surrounding the transition to parenthood. I know from my personal journey since the 1970’s that we’re becoming more sensitive to the mental health needs of families. With the continued expansion of our social support movement—and your help—someday every community will offer postpartum parent support.